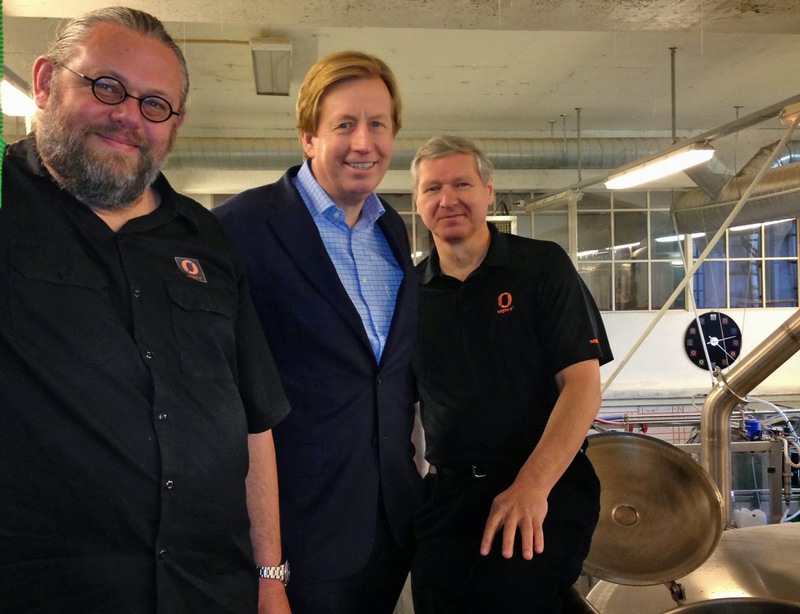 One of Norway’s most prominent brewmasters from Nøgne Ø joined forces with the brewmaster from Shanghai, China’s leading craft brewing innovator Boxing Cat Brewery to brew the Norse Smackdown Saison, a collaboration brew that would further introduce Nøgne Ø beer to the Chinese market. 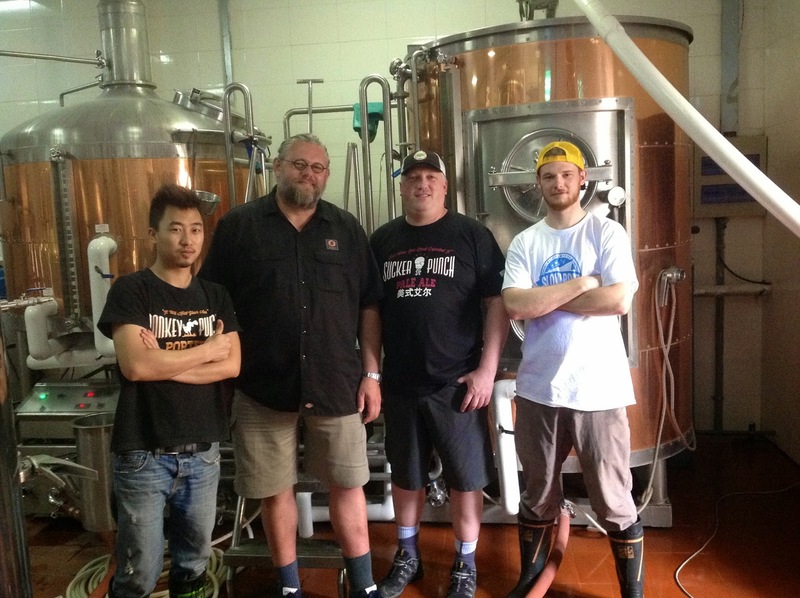 Kjetil Jikiun (Nøgne Ø) and Michael Jordan (Boxing Cat Brewery) came together to brew the Norse Smackdown Saison when Jikiun arrived in Shanghai from Norway to support the market during Shanghai Beer Week 2014 – China’s original craft beer festival (May 23-June 1). The two have maintained a friendly relationship since Nøgne Ø beers began being distributed in Shanghai in late 2013 through Cheers In, a French-owned beer boutique through which the new gastropub Liquid Laundry has been receiving their featuring Nøgne Ø Imperial Brown Ale. The Norse Smackdown Saison is the collision of Norwegian Juniper Berries and Chinese Chrysanthemum Tea, both perfect for a Saison-style beer that is full of esters and aroma from Saison yeast. The beer has a hint of Rye to give the beer a slightly spicy note. Two types of hops have been used for the Norse Smackdown Saison – the Nelson Sauvin from New Zealand, which have a wine/berry quality to complement the Juniper Berries, and the Sorachi Ace, which has a distinct lemon note with a slight cedar note. The result is the refreshing golden ale with subtle spice character with lemon, berry and floral notes. The Norse Smackdown Saison began pouring at Boxing Cat Brewery and Liquid Laundry on Wednesday, June 25, and will continue to pour until mid-July. Last week we received several awards for our beers at the annual ""Beer of the Year"-awards in Norway. Our Porter was awarded Beer of the Year, and in addition both Nøgne Ø Saison and Nøgne Ø #100 won their categories. 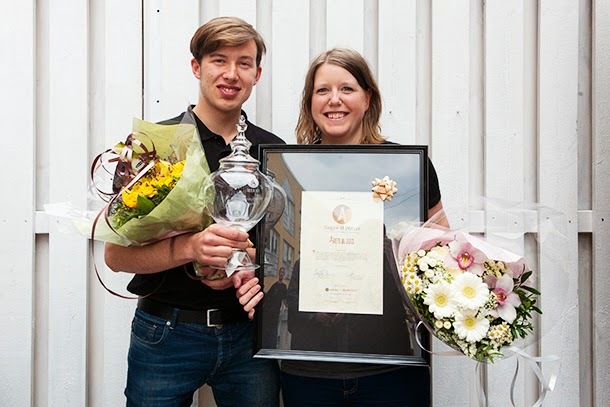 So in addition to winning it's category (Porter/Stout), Nøgne Ø Porter also won the prestigeous Beer of the Year award. The Beer of the Year was awarded for the third time this year, and previous years winners were Borg Bokkøl (2011) and Ægir IPA (2012). The Nøgne Ø Porter has been in our product range for 10 years and it is needless to say that we are very proud of this award. We would also like to congratulate Kinn Bryggeri as category winner IPA of the Year (Kinn Vestkyst), Ægir Bryggeri with their Mai Helles Bock as winner of the Light Lager/Pilsner category and Lervig Aktiebrygeri for their award in the Dark Lager/Bock category with their 10 year Anniversary brew. The awards are presented by Apéritif, Ølakademiet, Norbrygg og Ølportalen. Beer Festival season coming up! Do we love beer festivals? Of course we do! We do our best to attend as many as possible, to present our beers and to meet with our customers. Barcelona Beer Festival, Barcelona, April 11. - 13. Beer14, Oslo, April 24. - 25. NVkF & Slow Foods Mat- og Vinmesse, Oslo May 22. Danske Ølentusiaster Tap 1, Copenhagen, May 22. - 24. Shanghai Beer Festival, Shanghai, May 31.-June 2. Beervana, Bankok, June 7. - June 8. Oslo Beer Week, Oslo, June 10. - 14. GladMat 2014, Stavanger, July 23. - 26. Bryggerifestivalen, Trondheim, July 31. - August 2. Kristiansand Ølfestival, Kristiansand, August 23. Øl og Matmesse, Stavsplassen, Tretten, August 30. Grunerløkka Mat og Mikrobryggfestival, Oslo, August 29. - 30. Bergen Ølfestival, Bergen, September 5. - 6. Villagio della Birra, Buonconvento Siena, Italy, September 6. - 7. Matstreif, Oslo, September 12. - 13. What's Brewing, Haugesund, September 19. - 20. Stocholm Beer og Whisky Festival, September 26. - 27. 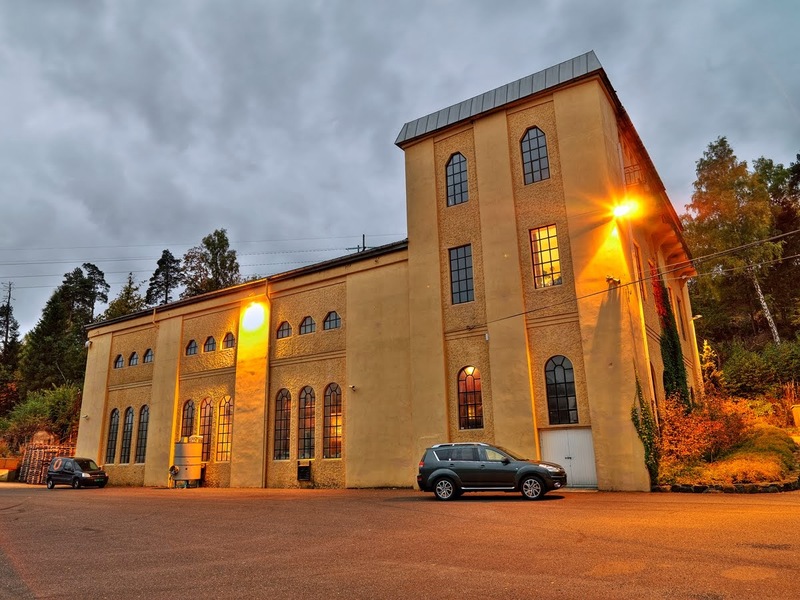 Stocholm Beer og Whisky Festival, Oktober 3. - 4. Arendal Øl & matfest, Arendal, October 25. Ølfestival Tou Scene, Stavanger October 31. - November 1. Nordic Brew Festival 2014, Arena Nord, Frederikshavn, Denmark, October 31. oktober - November 1. As there will probably be some changes throughout the year we will keep this blog post updated accordingly. Nøgne Ø are looking for a dedicated person to be in charge of one of the most exciting jobs in the craft beer industry! 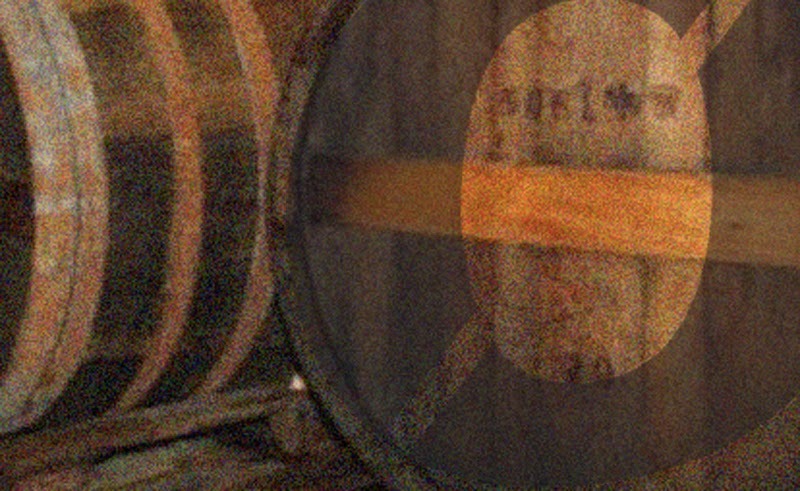 Barrel aging beer is a fascinating craft that we wish to focus even more on at the brewery by hiring a person dedicated to our barrel aging programme. Primarily we are looking for a person with an above average interest in craft beer and flavours. Preferably you are creative, open to many differing flavours and aromas, and have a fair knowledge of the craft beer brewing process. As responsible for our barrel aging programme you will be in charge of, and responsible for, laying plans for barrel aging beers, organizing and evaluating the beers in the barrels, quality control, blending and bottling. You will be working independently, and the job will include a fair amount of manual labour. Furthermore, the job will involve various tasks at the brewery, such as aiding the cellar man, cleaning, labelling and helping out at the warehouse. We prefer if you have a driver’s license class C and a permit for driving a fork lift. Place of employment: Grimstad, Norway. Hours: 08:00 – 16:00. Longer hours will occur when needed. You will answer to the Production Manager. Sometimes things just doesn't go exactly as planned. There are so many factors that make hand crafted ales really fascinating. As when one of our brewers pitches the wrong yeast to a batch of Tiger Tripel (brewer not mentioned by name...). Well, occasionally these things happen and we just have to make the best of these situations. We soon realized that the beer would not be a Tiger Tripel as we know it, so we began brainstorming. Pouring the whole batch out was never an option, so our creative brewers came up with a couple of ideas on how to turn this batch into a very special beer. Several options came to the table. All from far fetched ideas like... well, let's keep those a trade secret... to more feasible ideas like adding flavoring by mixing in different berry juices to the brew. We decided on the latter, added a good amount of blackcurrant juice to the batch and left the wort to ferment again. In a week or so we will be ready to bottle a batch of our brand new one-off beer: Cassis Tripel! We hope you will enjoy it! Today is the day we pass 1 million liters (8386 US barrels) brewed at Nøgne Ø this year. Last year we brewed approximately 900.000 liters (7547 US barrels), so our brewers have been really busy this year. The beer being brewed is an old and dear one. Our English Bitter at 4,5% ABV. Nøgne Ø Bitter is a light session ale with an assertive hop aroma of East Kent Goldings. It was actually one of the first beers made at Nøgne Ø. First time brewed on May 15. 2003! 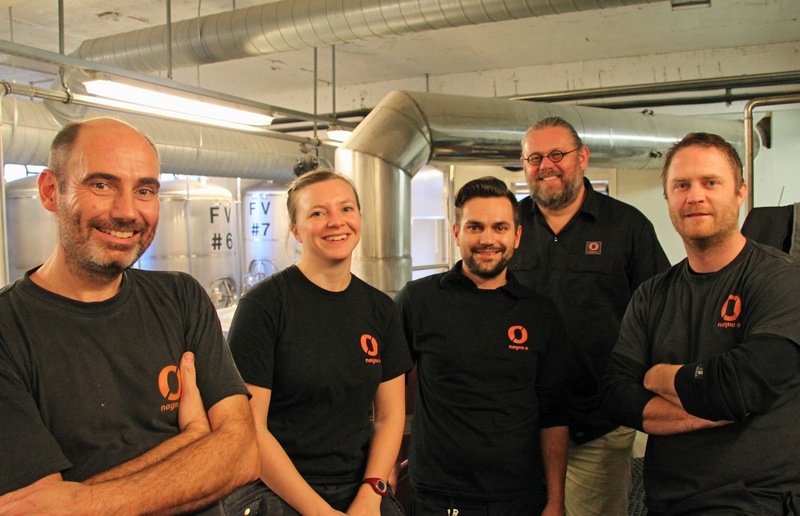 The Nøgne Ø brew team have been working hard this year: From left: Rune Karlsen, Ingrid E.Skistad, Edvard Hortemo (Production manager), Kjetil Jikiun and Rolf Tore "Toa" Vik. On November 25th 2013 Hansa Borg Bryggerier acquired a majority share in Nøgne Ø. This paves way for Nøgne Ø in better reaching out to its loyal customers both in Norway and current and future export markets. 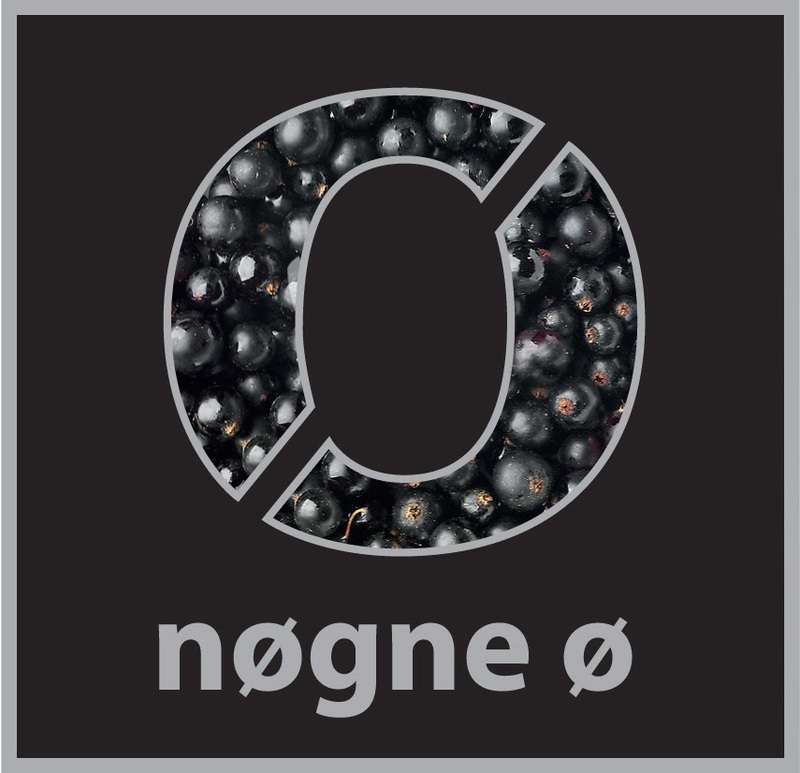 Nøgne Ø will continue to be based in Grimstad, Norway, and will keep up the hard word on maintaining its portfolio of quality beers and sake, as well as developing new and experimental products. Founder and head brewer Kjetil Jikiun will maintain his position as head brewer after this transition. Hansa Borg Bryggerier is a family owned group of regional breweries: Hansa, Borg and Christianssand Bryggeri. Its owners have over 4 generations showed that they are committed to stability and supporting local brand and employment. Hansa Borg Bryggerier also has its own spring water production under the brand Olden by the western Norwegian fjords. Nøgne Ø is Norway’s oldest and largest craft brewery. The brewery is also the only maker of sake in Europe. Their award winning products are exported to 30 countries on 4 continents. 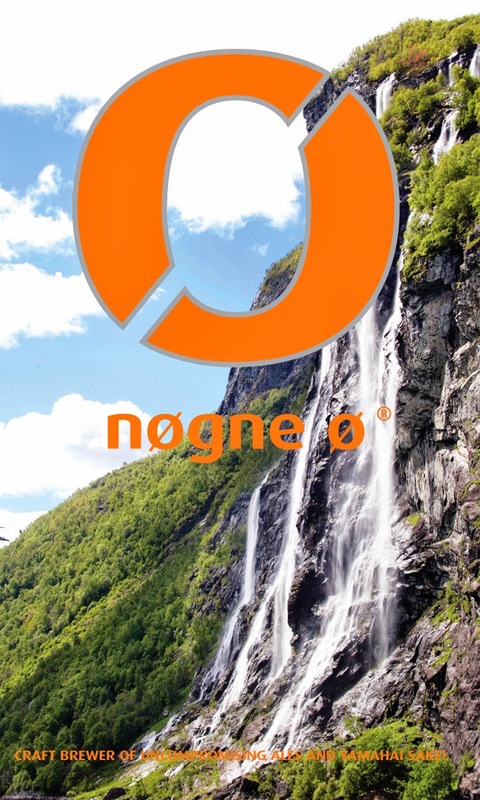 The shareholders selling shares in Nøgne Ø is Cecilie Mohr, Tor Jessen, Anne Cecilie Nybø, AHT Invest and Kjetil Jikiun. Nøgne Ø ... the brewery from Norway that refuses to compromise, committed to taste, committed to craft beer. Our mission: To create fantastic full bodied, and hand-crafted beers!